I don’t remember Splinter Cell: Conviction getting an official release date but apparently I am the only one with that memory issue. 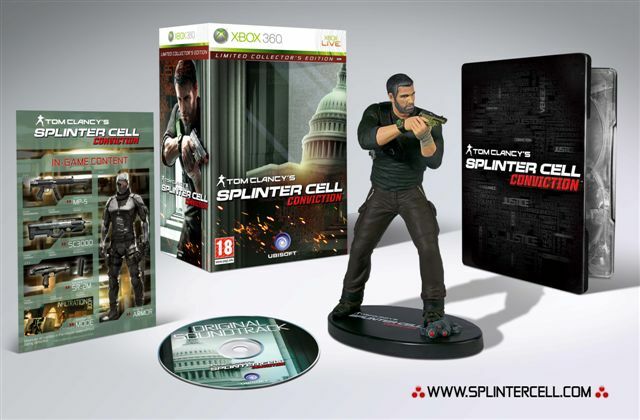 If you also missed it then this is for you, the limited edition collectors edition and standard editions will be released locally on the 26th of February 2010 but if you can’t wait that long then you need to connect up to Xbox Live on the 16th of December, hey that’s tomorrow, at 7pm local time for the exclusive worldwide premiere of the much anticipated multiplayer modes. I really hope we get the chance to shove our friends faces into urinals… that would make my day.